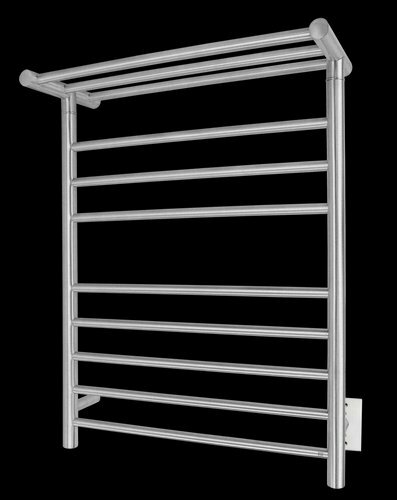 The Huron towel warmer from WarmlyYours represents the perfect blend of innovation and high performance. 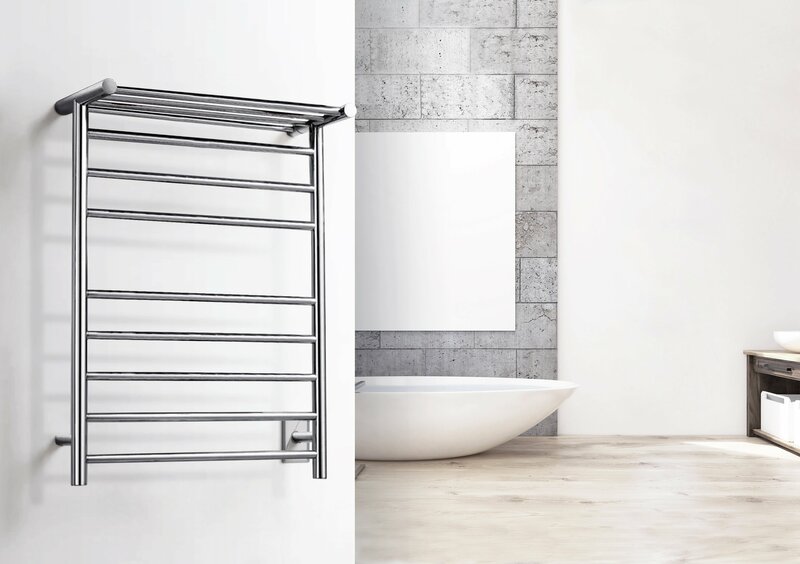 With its integrated, non-heating storage shelf for extra towels, which also doubles as the top set of mounting brackets, the Huron has no wasted space. The discrete power switch and sleek hardwired connection (110 – 120 VAC) create an elegant presentation. 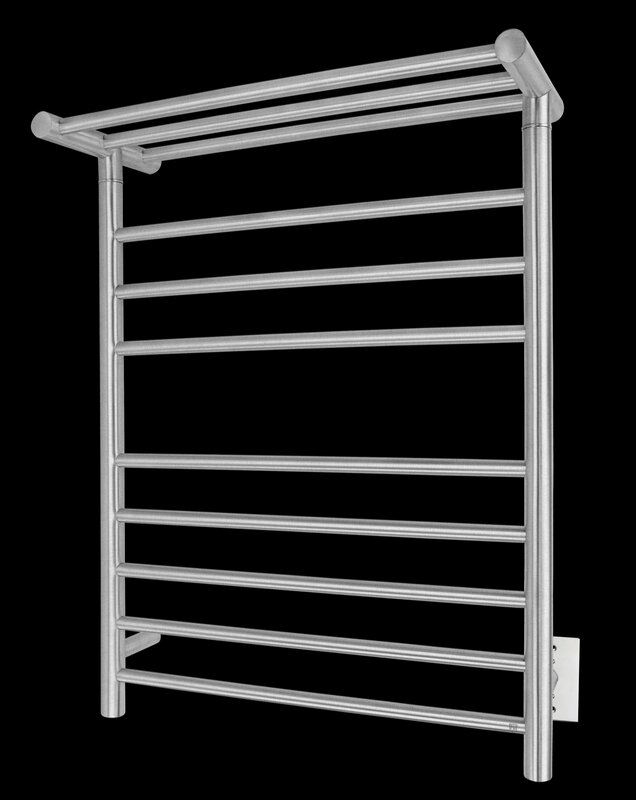 The heat output of 307 BTUs per hour from the Huron’s 8 heated bars will help warm and dry your towels and bathrobes. 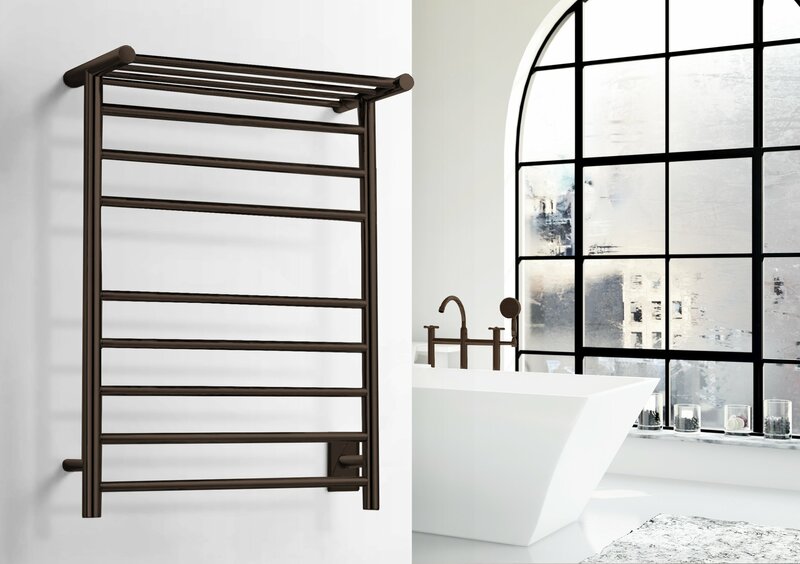 Available with either brushed or oil-rubbed bronze finishes. This model comes with built-in TempSmart™ protection to prevent the unit from overheating.